The luxury sedan from Honda has had a long run in the Indian market. The car looked decent and also had a powerful V6 engine. 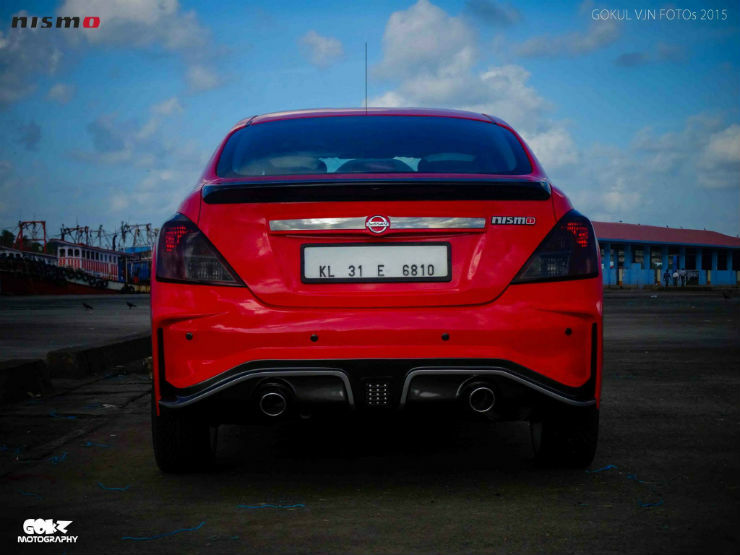 The specs of the car made it popular among enthusiasts. 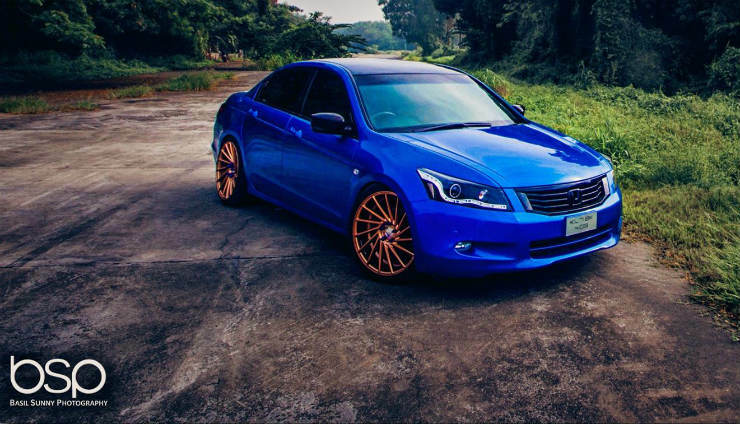 This Accord gets beautiful 20-inch golden rims. The car has been custom painted with Blue color and has been given aftermarket headlamps. The car has been lowered by installing BC Racing suspensions. The Linea is one solid car. The Italian car is famous among enthusiasts because of its sure footed handling and solid build. The Linea sells very low in number and is mostly bought by people who want a well built car. This Linea from Kerala looks extraordinary. It gets a black colored body kit and an Italian flag on the front bumper addition. The headlamps get a wrap that makes it look sleeker. It also gets new alloy wheels and lower ride height. The Nissan Sunny is not known for its looks. The car is spacious is often bought by people who want to be driven around. 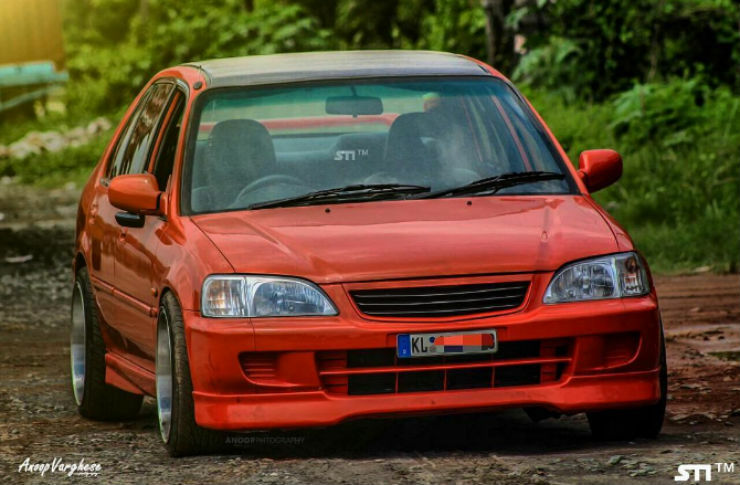 This Nissan Sunny looks red hot with custom modification job done on it. The mod list includes customized front bumper, custom front lip, custom spoiler, side skirt, aftermarket headlamps, 17-inch rims, customized red paint job and a lowered ride height. The Honda City was once the most liked sedan in the segment. The Japanese car has been around for a long time and many generations of the car have been launched in India. The car seen here is powered by 1.5-litre petrol VTEC engine. It gets 17-inch rims and orange custom paint job. The car has been lowered with Vogtland lowering springs. The car gets Type Z body kit too. The Jetta has always been a good looking car. It is the sedan version of the Volkswagen Golf and it looks simple and elegant. However, this Jetta has been modified by Autopsyche and looks badass! This Jetta gets Hotchkis anti-roll bars, magnaflow exhaust system, custom painted grille, and a beautiful body kit. The Pirelli P Zero low profile tyres and forged mono block wheels take the aggressive looks of this car to another level. It also gets HBR Sport lowering springs and Bilstein sport shock absorbers.